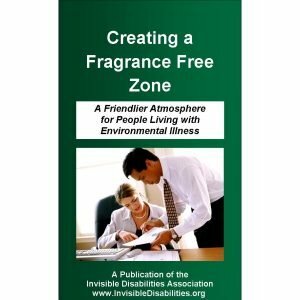 View cart “Fragrance-Free Zone Pamphlet Supports Talk About Chemical Sensitivities – 25 Pack” has been added to your cart. 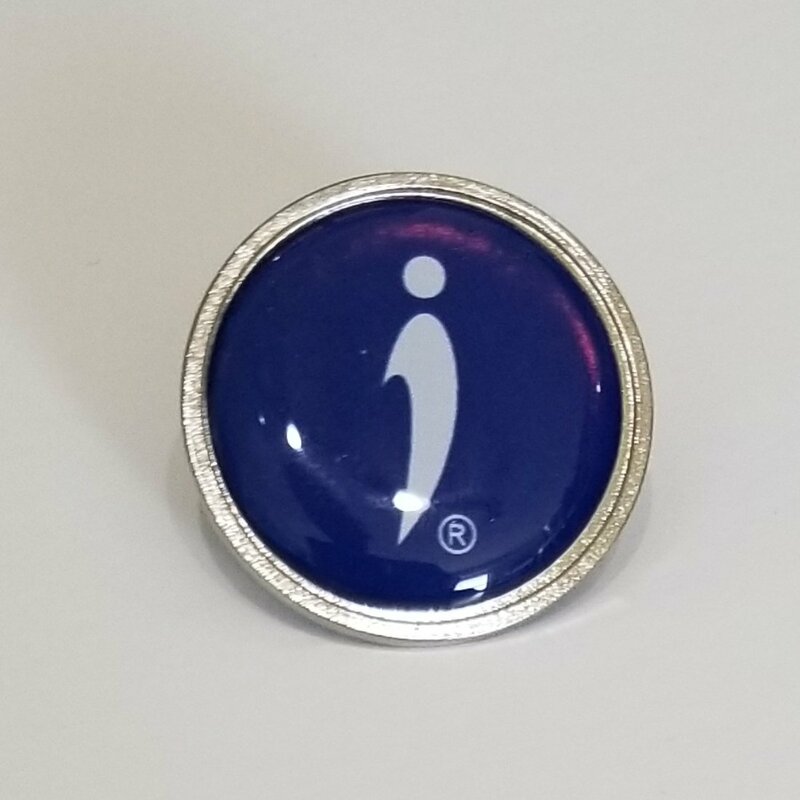 Conversation starter lapel pin helps you get the conversation started about invisible disabilities with our one-inch round Invisible Disabilities Association lapel pin. Wear it proudly and often to encourage sharing about invisible disabilities. Conversation starter lapel pin helps you get the conversation started about invisible disability. Our one-inch round Invisible Disabilities Association lapel pin has a poly dome with silver metal back. Wear it proudly and often to encourage sharing about invisible disabilities. 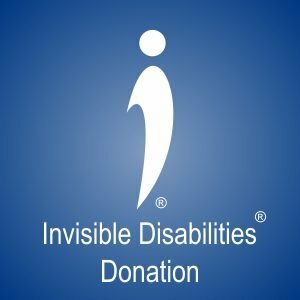 People often ask what the term invisible disability means. In simple terms, it is a physical, mental or neurological condition that limits a person’s movements, senses, or activities that is invisible to the onlooker. Unfortunately, the very fact that these symptoms are invisible, can lead to misunderstandings, false perceptions, and judgments. Conversation starter lapel pin opens doors of communication and understanding. Your Invisible Disabilities Association lapel pin can be a conversation starter because it invites people to ask questions. Often people think the term, disability, only refers to people using a wheelchair or walker. 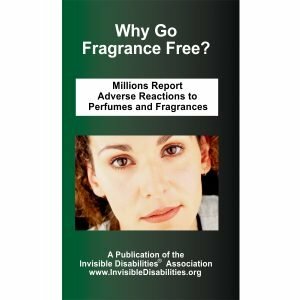 On the contrary, the 1994-1995 Survey of Income and Program Participation (SIPP) found that 26 million Americans (almost 1 in 10) were considered to have a severe disability, while only 1.8 million used a wheelchair and 5.2 million used a cane, crutches or walker (Americans with Disabilities 94-95). In other words, 74% of Americans who live with a severe disability do not use such devices. Therefore, a disability cannot be determined solely by whether or not a person uses assistive equipment. 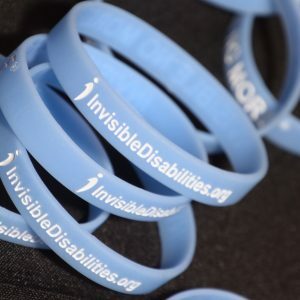 The term invisible disability refers to symptoms such as debilitating pain, fatigue, dizziness, cognitive dysfunctions, brain injuries, learning differences and mental health disorders, as well as hearing and vision impairments. These are not always obvious to the onlooker, but can sometimes or always limit daily activities, range from mild challenges to severe limitations, and vary from person to person. Also, someone who has a visible impairment or uses an assistive device such as a wheelchair, walker or cane can also have an invisible disability or invisible disabilities. For example, whether or not a person utilizes an assistive device, if they are debilitated by such symptoms as described above, they live with invisible disabilities. When dialog begins with our conversation starter lapel pin, understanding also begins. Unfortunately, people often judge others by what they see and often conclude a person can or cannot do something by the way they look. This can be equally frustrating for those who may appear unable but are perfectly capable, as well as those who appear able, but are not. International Disability expert, Joni Eareckson Tada, explained it well when she told someone living with debilitating fatigue, “People have such high expectations of folks like you [with invisible disabilities], like, ‘come on, get your act together.’ but they have such low expectations of folks like me in wheelchairs, as though it’s expected that we can’t do much” (Joni). The bottom line is that everyone with a disability is different, with varying challenges and needs, as well as abilities and attributes. We all should learn to listen with our ears instead of judging with our eyes. Our conversation starter lapel pin gives you an opportunity to define invisible disability for others.